1. There may be a delay with the text message that announces when the credit has been received. 2. Ensure mobile data is turned off. Apps can run in the background and use up your credit to start providing you updates. Learn how to stop background apps here. 3. 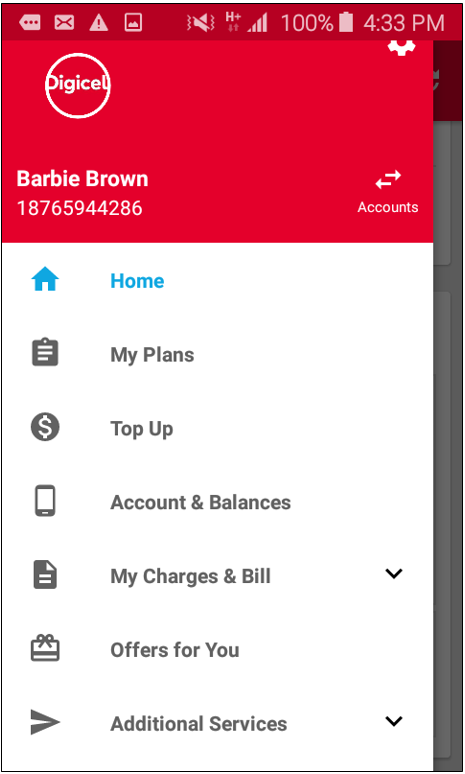 You can easily get a full history of all your transactions on the My Digicel App and see exactly how your credit has been used. Here's how you can check your transaction history. 4. Ensure you have used the correct number for the Top up. 5. Have you taken a credit advance recently? If so your top up may have repaid a credit advance on your account. You can check the phone number that is currently in your phone using a short code *129# Send (call button). You can use the My Digicel App. Once you are signed in, you will see your phone number on the home page.